※ Images are for illustrative purposes. 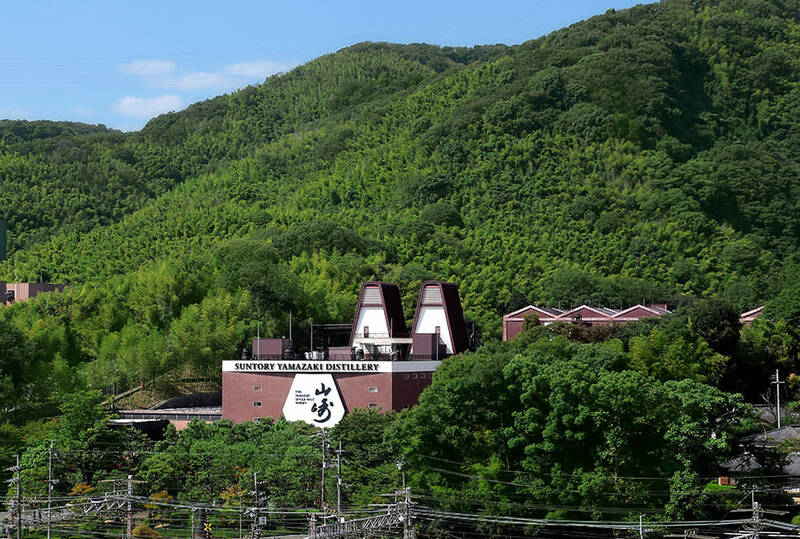 Located in central Sakishima, it is the landmark of the Osaka Bay Area. Standing 252m high with a panoramic 360-degree view of an unhindered, spectacular view of the city. A large-scale commercial building housing many restaurants and shops. It also hosts countless events throughout the year. Conveniently located next to our hotel with shaded and covered access. 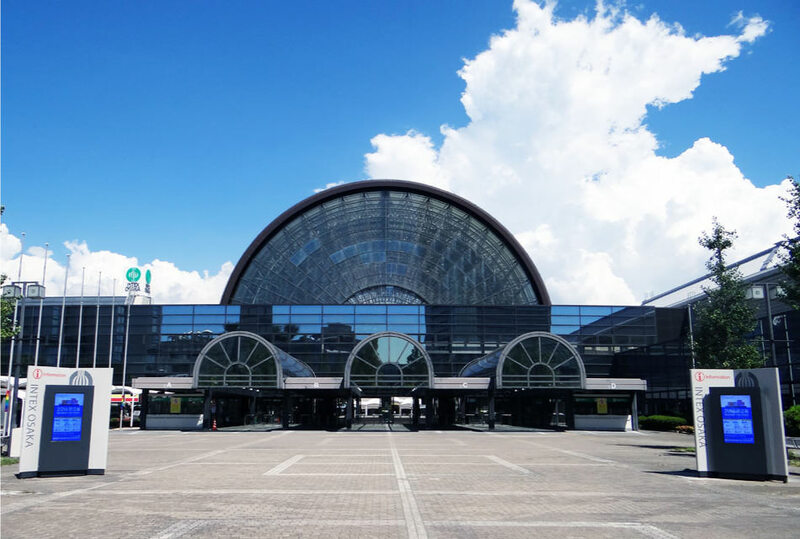 The largest exhibition hall in western Japan and honorable host of the 2019 G20 Summit. 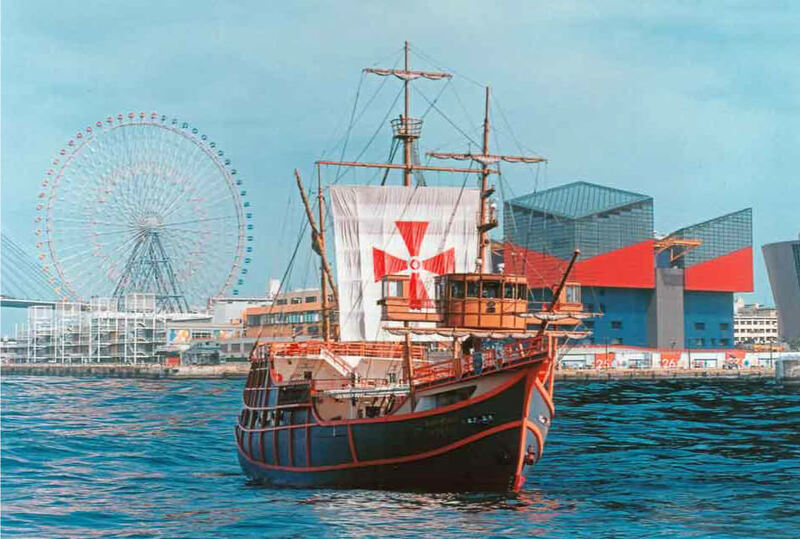 A sightseeing cruise inspired by Christopher Columbus` flagship, La Santa Maria. Departs from Tempozan Harbor Village and sails around Osaka Bay. 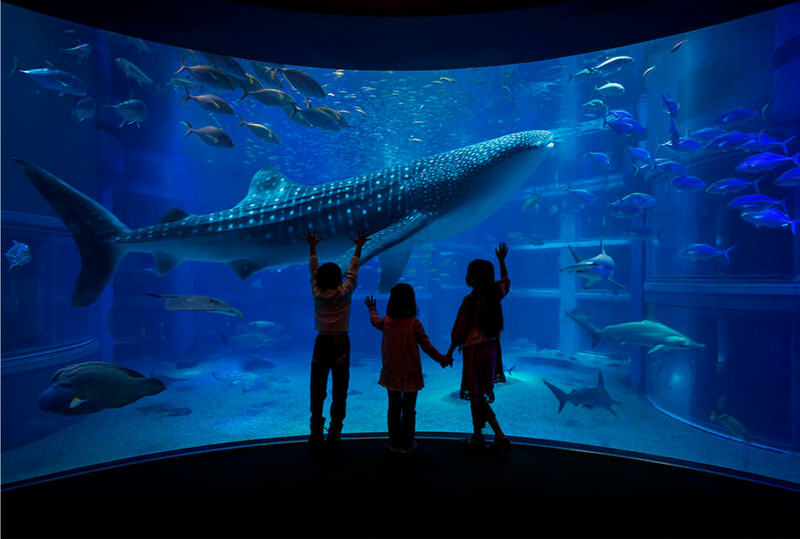 With 14 tanks recreating natural habitats, the massive whale shark exhibit is a must-see. Indulge in the life-like wonders of the ocean environment. 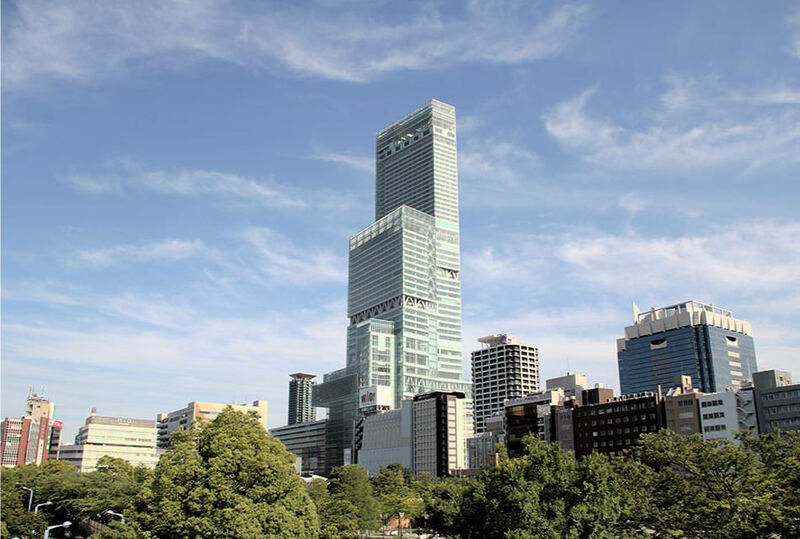 Standing 300 meters high with 60 floors, the colossal Abeno Harukas tower is the tallest building in Japan. 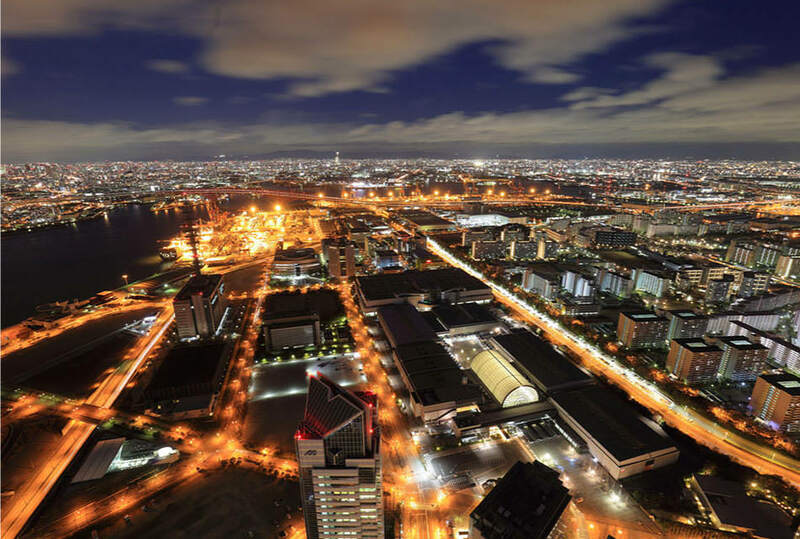 Enjoy a 360-degree panoramic view of Osaka city from the Harukas 300 observatory. 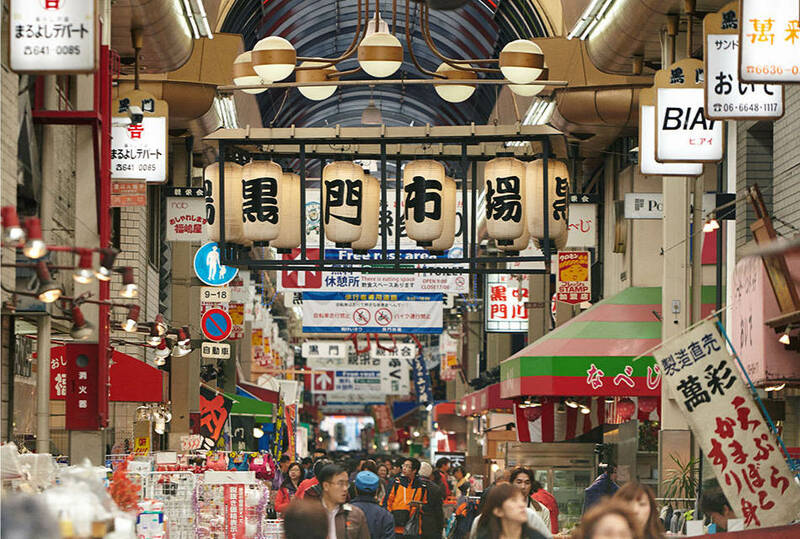 Known as Osaka`s kitchen, the Kuromon Market extends 580 meters lined with 180 shops. The lively market atmosphere is always bustling and of course you can taste what you’ve bought right then and there. 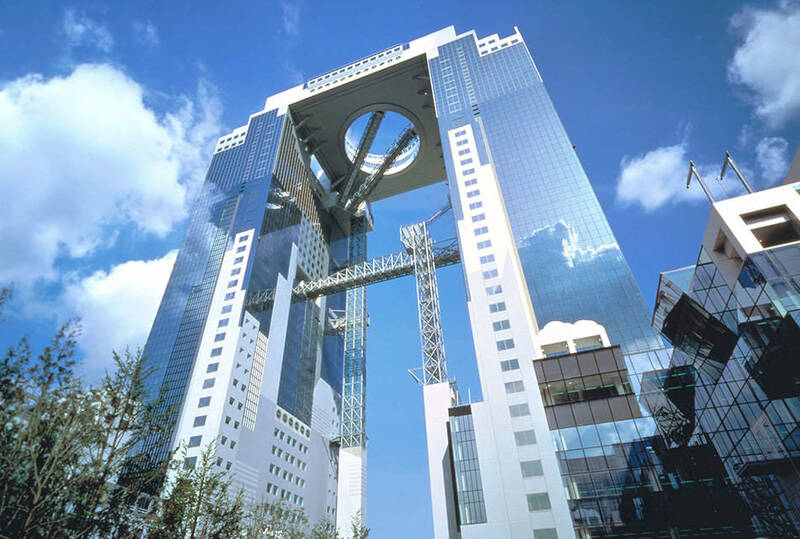 The defining landmark of deep Osaka, Tsutenkaku tower has a fantastic night view from the observatory where the renowned Biliken, God of Good Luck, is also enshrined. 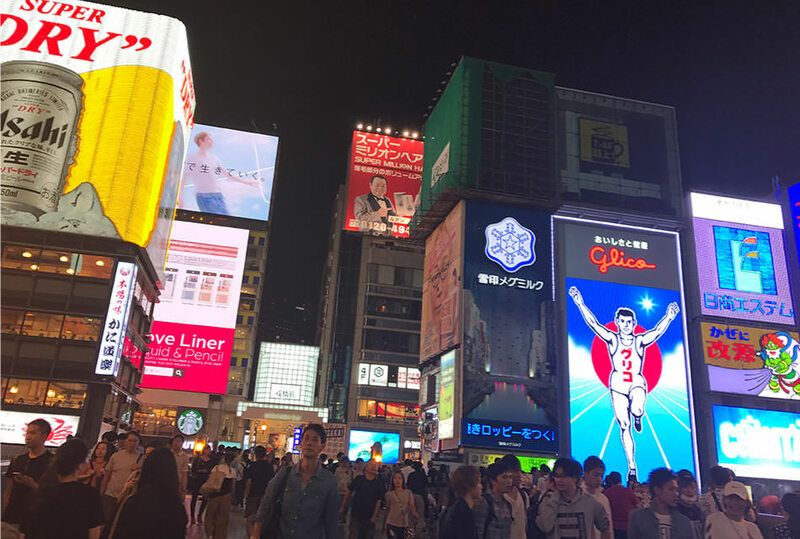 Osaka’s illustrious downtown neighborhood overflowing with flashy signs, lights and the bustling atmosphere. Just walking around this area and taking photos can be full of excitement. 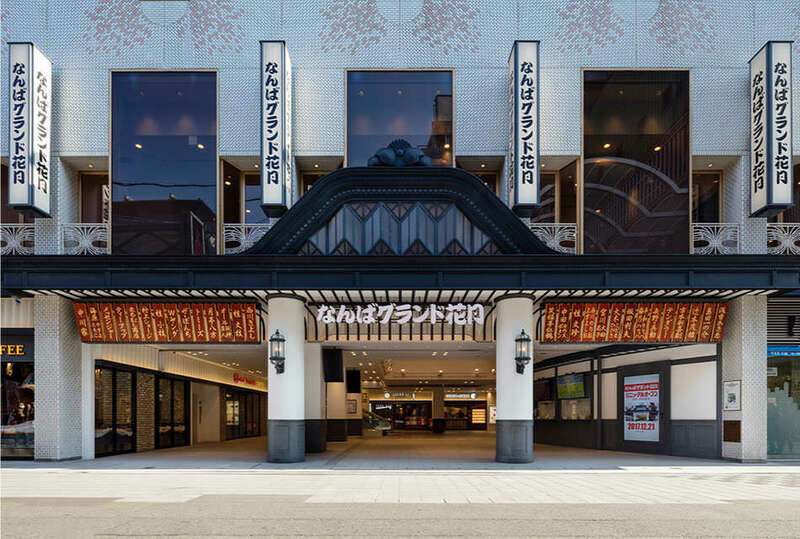 The spirit of Japanese comedy entertainment, Manzai, Rakugo and Kigeki performances are held here year-long every day. 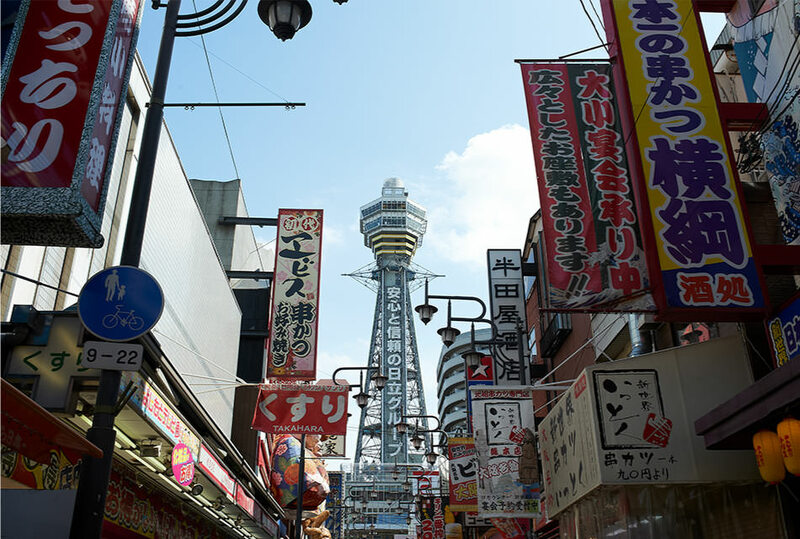 Experience the authentic comedy culture of Osaka. 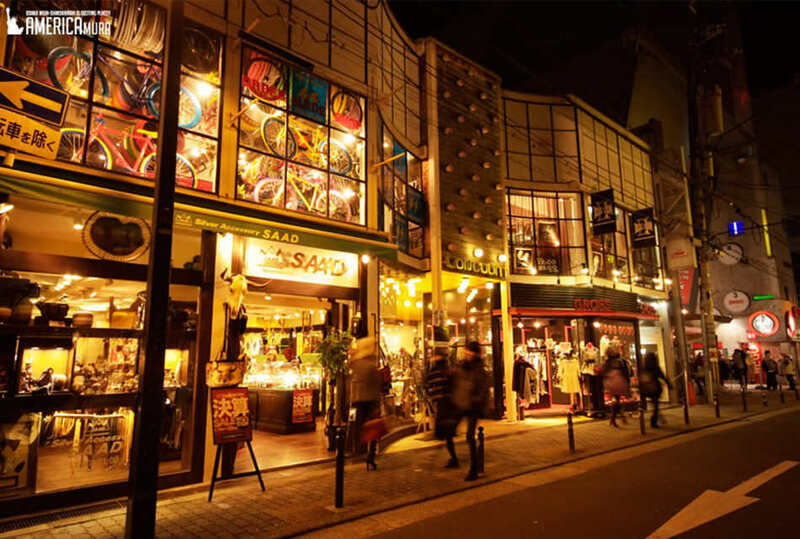 A unique neighborhood with quirky buildings attracting many young fashionistas. The nightlife is also very lively with bar and club patrons. 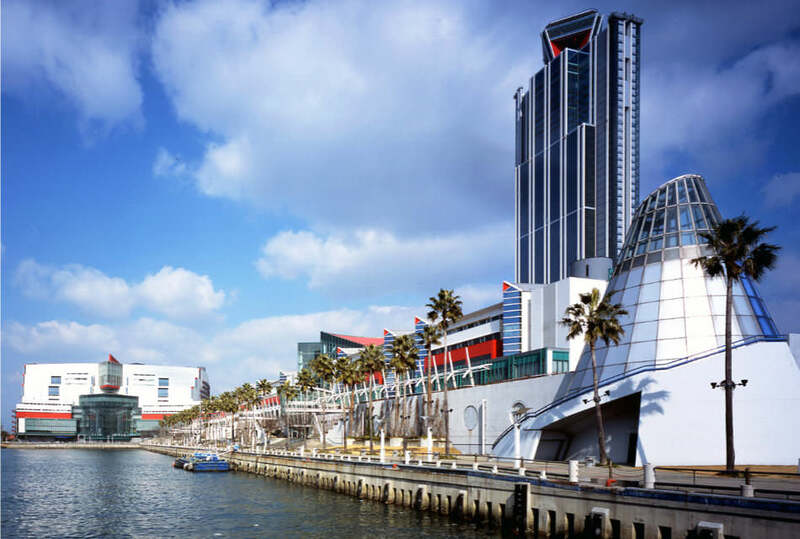 The 360-degree panoramic view of Osaka’s cityscape from the “Floating Garden” Observatory is a must-see. The lit up “Sky Walk” and escalators that run mid air are also exciting at night. 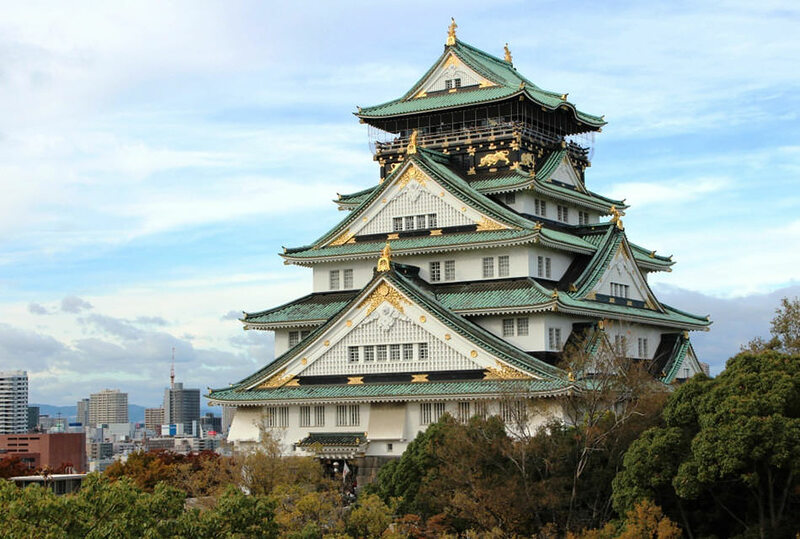 The main castle keep area is turned into a museum showcasing the history of Osaka castle and the legendary Toyotomi Hideyoshi with video presentations and exhibits. You can also enjoy the view from the observatory or try on traditional battle helmets and surcoats. Make it an unforgettable experience and snap as many pictures as you wish in your new look!